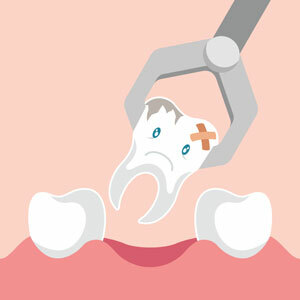 After you’ve had a tooth extracted, we want to make sure your recovery goes as smoothly and easily as possible for you. The team at Shine Dentists, Franklin will inform you of all home care advice after your procedure. It’s important that a blood clot form at the extraction site, so do not rinse your mouth or touch the site with your tongue or finger. If it bleeds after you leave our practice, a clean tissue or handkerchief can be placed at the socket with pressure applied by biting down. If bleeding persists, please contact your dentist. Keep in mind that your mouth will be numb for about an hour before the anaesthetic wears off. Be careful not to bite your tongue or cheek or drink hot liquids that may burn your mouth. Further, you should avoid smoking and drinking alcohol. If you experience any discomfort, we recommend a headache tablet and that you follow the manufacturer’s instructions. Do not, however, take aspirin, as this can cause bleeding.